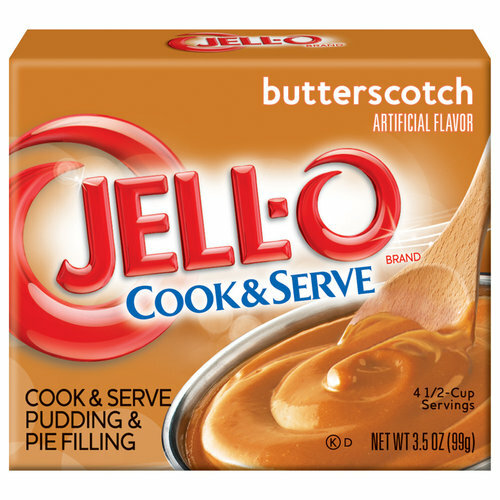 When I was a kid, I used to make stovetop Jell-O pudding all the time. It was stupid easy: pour everything in a pot, add milk, and stir till hot. For some reason, I was particularly obsessed with how it cooked up just like the picture on the box, all silky and golden, dripping from a wooden spoon. In my mind, that's what butterscotch pudding has to be—phenomenally simple, easy, and silky smooth, with a light toffee flavor. Problem is, most homemade butterscotch pudding starts with brown sugar. Sure, we often say brown sugar tastes "butterscotchy," but that's just poetic license; what brown sugar actually tastes like is molasses. Historically, true butterscotch is a dairy-based hard candy, like a brittle, but with way more butter or cream. It wasn't typically cooked above 320°F, so its sugar content wouldn't caramelize much, if at all. The real flavor came from Maillard browning, giving the dairy some of the "cooked" flavors we find in condensed milk or confections like dulce de leche and cajeta. Its cooking method and ingredients give butterscotch a rich and mellow character, without any bitter notes of dark caramel or the sharp tang of molasses. It's got a flavor that can be so smooth, but the real deal is a bit of a pain to make and can take several hours. I mean, don't get me wrong—I'm all about some old-school candy making, but when I have a sudden craving for warm butterscotch pudding (usually on a cold Saturday afternoon when lunch has worn off and dinner's still too far away), I want something as fast as the stuff in a box. And let's be honest, the pudding I remember was only a chemical approximation of real butterscotch flavor anyway. Maybe that was even part of the allure. That realization convinced me that as much as I wanted to avoid pseudo-butterscotch made with brown sugar, I didn't want to start with the homemade stuff, either. Now, that's the point where any sane person would walk away, but I was reminded of an old phrase: fake it till you make it. That philosophy proved to be sage advice for re-creating the unique flavor of commercial butterscotch pudding. After a great deal of experimentation, I've discovered that a few unlikely ingredients are the secret to a creamy butterscotch pudding that can meet my own extraordinarily particular demands. It tastes just like I remember, silky and rich like liquid toffee, paired with an "ehhh, just throw it all together" technique that's almost as easy as the one written on the back of the box. Its flavor comes from a combination of quick-toasted sugar, which captures the faint caramel back note I was looking for, and malted milk powder—a combination of milk proteins and malted barley that suggest a slow-cooked dairy flavor. There's also a bit of cornstarch to thicken things up, a few egg yolks for their silky richness, plus a whole lot of milk. I whisk everything together over low heat until it's warm to the touch, which neatly avoids the mess of tempering the yolks. From there, it's cooked over medium heat until bubbly and thick. This is the same technique I use to make the custard for my chocolate cream pie, and it's important to note that in these recipes the timetables are simply guidelines. To cook a custard over medium heat until thick takes "about three minutes," but that's really just my best attempt to quantify the subjective experience of cooking on a stovetop, which lacks the precise settings of an oven. If you find things move more slowly than my directions indicate, it's okay to crank up the heat to move things along. With that in mind, this pudding should come together pretty fast (especially if, like me, you have toasted sugar on hand after blind-baking a pie). It's meant to be a sweet and simple treat that you can throw together in a few minutes, just like the one from a box, so if you don't have any toasted sugar on hand and you don't object to the taste of molasses standing in for butterscotch, try an organic brand of cane sugar, instead. These retain a portion of their natural molasses content, for a flavor that's more complex than refined white sugar, but not as intense as light brown sugar. I'm not wild about it for general purpose baking, but for the mystery that is butterscotch pudding, it'll do the trick. To eliminate those funky bits of chalaza (those little white stands in eggs), I like to strain the pudding as soon as it comes off the stove, at which point I combine it with a handful of white chocolate. I know this is a weirdly divisive ingredient, but even if you're not a fan, please know that it's essential to the texture of the pudding. See, eventually cornstarch will thicken pudding into a stiff and rubbery mass. Meanwhile, once you cross a certain threshold, the power of egg yolks will be eclipsed by their flavor, making an objectionably eggy dish. Reaching the threshold for both in this custard, I still found its texture too thin. But with a touch of white chocolate, the pudding thickens up just right, with only a hint of white chocolate's milky sweet flavor. The trick for white chocolate haters (I know you're out there) is to use a vanilla-forward supermarket brand like Green & Blacks so you get less cocoa butter flavor—the scattering of vanilla seeds is just a happy visual perk. Of course, if white chocolate is your jam, feel free to grab whatever brand you like best! Just remember, it isn't meant to be the star of the show here, just a supporting player. The end result of all that culinary witchcraft is a silky butterscotch pudding that's wonderfully thick when warm, perfect to snuggle up with on the couch when it's cold and dreary outside. And if there's any left over, no problem! Because it's not loaded up with cornstarch, my butterscotch pudding has the creamy consistency of a Snack Pack when pulled straight from the fridge. Even if you don't share my affection for this pudding's commercial inspiration, I hope you can still enjoy its malty charm.